option 1: two 5"x11" & two 5"x5" (shown); option 2: one 5"x11" & four 5"x5"; option 3: one 11"x11" & two 5"x5"
Infused on Aluminum for an incredibly vibrant print with exceptional detail. Each Collage Wall photo display comes with two ways to display the prints. On the wall includes fast and foolproof wall installation with all instructions and hardware. Or display on a table using the included stands. Classic and clean presentation, right out of a gallery. In this grouping four 12"x12" fine art lustre finished portraits are mounted and completed with a crisp white mats and black frames. A simple and beautiful collection of 20 images at your fingertips. These softcover photo books are printed on Indigo printers, the highest quality digital press printing technology available. We love this book! It features panoramic spreads printed on professional photographic papers mounted back-to-back with a custom photographic cover. It is really perfect for all types of sessions. The highest quality fine art canvas portrait printing. Your portrait truly becomes your most treasured fine art. This might be our favorite display! Your story becomes fine art and an ideal wall display to showcase your treasured relationships. There are many ways to hang this grouping or it can be split between shelves and different rooms (0r houses). 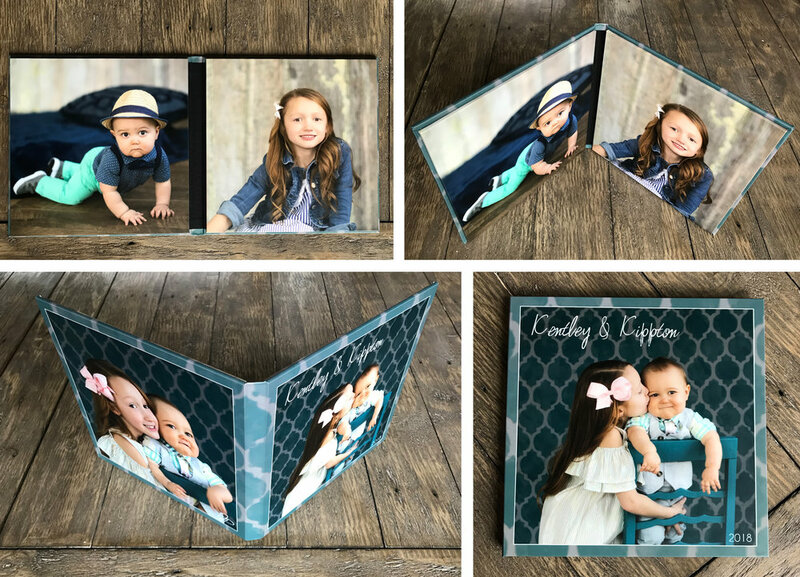 An impressive way to present and display your photos in a beautiful and sturdy book-like format that is great for desktops. The triple fold allows for three 8"x8" images on the inside surrounded by a custom cover displaying another image on the outside. This album is the legacy heirloom product your family will treasure for generations. It is filled with professional photographic portraits and the highest quality craftsmanship. We have these albums on our shelves at home. one 16"x24", one 11"x17" & two 8"x12"
A sleek and modern treatment for your dazzling images. Acrylic Prints are beautiful photo prints face-mounted to plexiglass with polished edges. 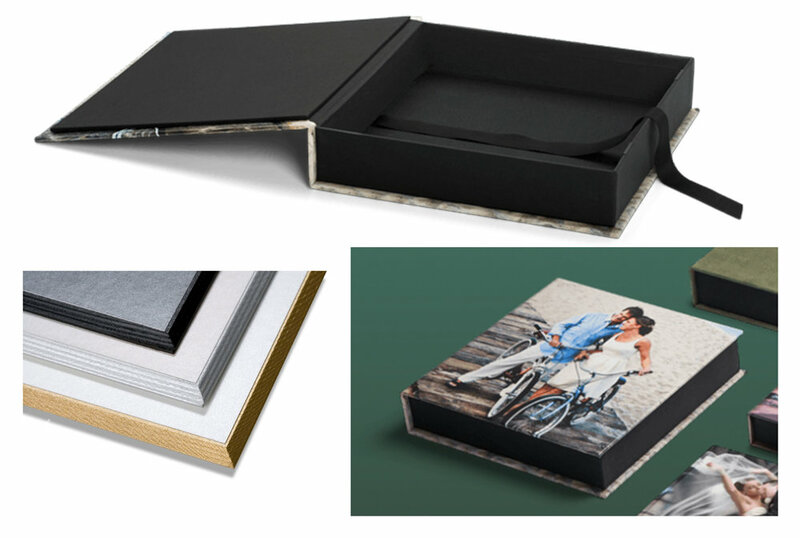 Seven bevel-mounted 8"x10" portraits are encased in a beautiful hand crafted box with a custom photographic cover. We love rotating a display of a featured image on an easel. Ditto from the 10x10 Album, just a bit more impressive for those special occasions.